Built into the rocks on the side of a hill in the heart of the village of Golling there is a castle whose origins date back over a thousand years. Golling Castle Museum invites visitors of all ages to take a fascinating trip back into the history of Golling and the surrounding area! 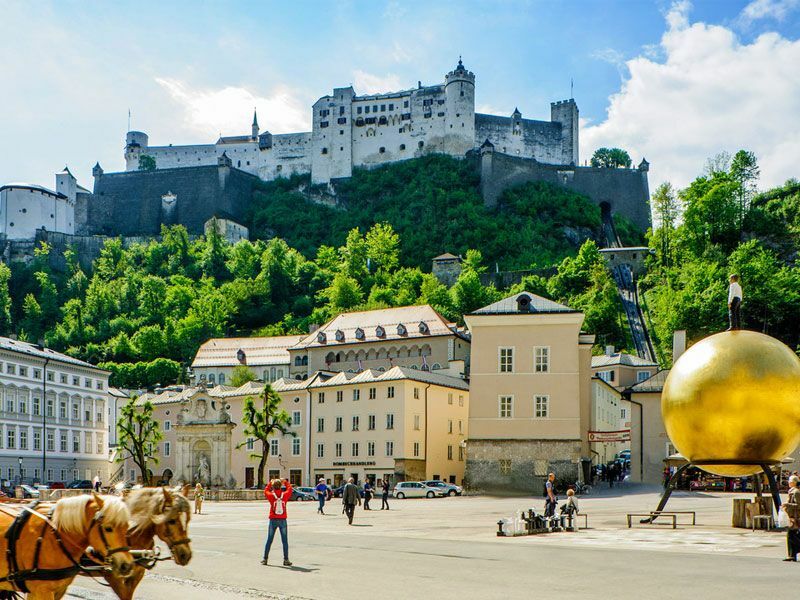 Europe’s largest 11th Century fortress complex is also Salzburg’s most prominent landmark as it towers sovereignly above the city of Mozart. A wonderful place for a short outing with tours of the unique rooms of the rulers of the day (audio guide available in 7 languages), the fortress museum, the Rainer Regiment museum, a multivison show and visits to the ‘Burgschänke’ castle tavern, the Rittercafe and the castle restaurant. Aristocratic pomp in the heart of the city of Mozart. The former official Salzburg palace of residency of the prince-bishops of Salzburg was also a venue for entertaining high ranking guests. The ‘Residenz’ is open to visitors and boasts 15 rooms of pomp, splendour, architecture and ornamentation. Visitors see two centuries of skilled craftsmanship, architecture and style changes. A tour of the large ceremonial rooms (audio guide available in 7 languages) displays the splendour and prestige of life in the prince-bishop court. Visitors experience the harmonious style development from the renaissance via the baroque to the classical period of architecture! The most beautiful summer residence on the northern side of the Alps. The grounds of the residence include an expansive park, the secret fountains of the ‘Wasserspiele’ and the zoo just around the hill! 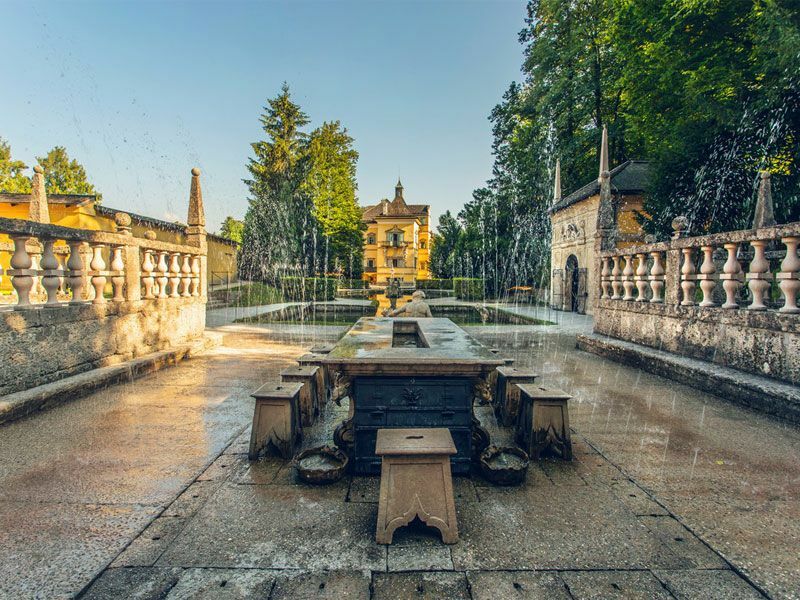 The ‘Wasserspiele’ and the palace have hardly changed since they were built almost 400 years ago by Prince Bishop Markus Sittikus in the style of the Italian summer residencies. The large park encompasses over 60 hectares of lawns, paths, tree-lined alleys and ponds, and is an example of the high art of garden design of the time. One of the famous features of the park is the ‘Steintheater’ crafted out of the rock within the hillside. The grounds are open to the public and provide the citizens of Salzburg with a place to relax and rejuvenate themselves with long walks around the park, and a large and popular lawn especially for children to play on. The powerful castle used to be the fortress of the prince bishops of the 11th century, standing high above the Salzach valley. The visitor has access to a rich variety of daily tours, including the exhibition of weaponry. The Salzburg ‘Landesfalkenhof’ puts on displays of falconry every day. 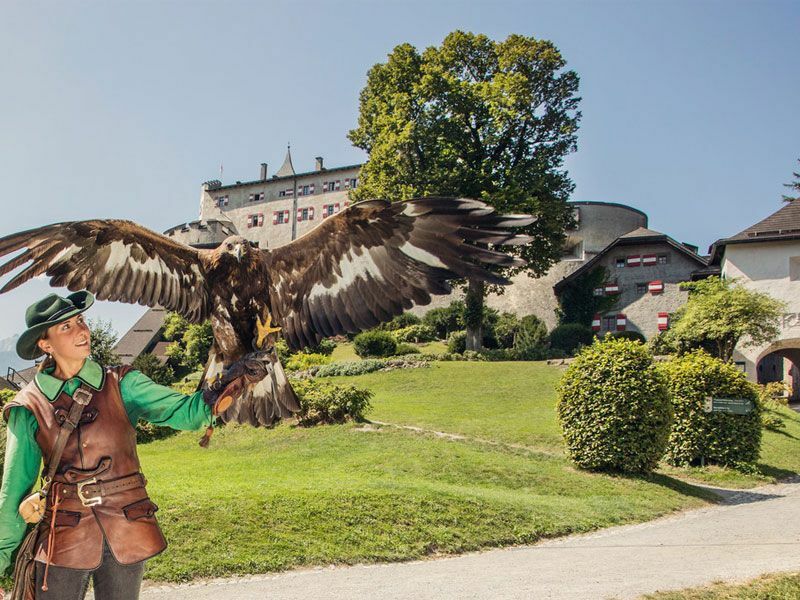 The Museum of Falconry, the ‘Falknereimuseum’, an authentic castle tavern, a knight’s stockade shop (Ritterladen), and numerous spectacular weekend celebrations and special events all go towards making a trip to the fortress an unforgettable experience.